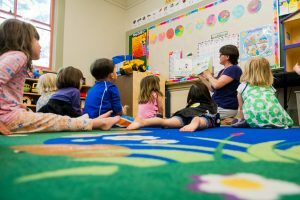 Eligible families may apply for government’s Affordable Child Care Benefit. Our Preschool philosophy is learning through play. Play provides children with opportunities to investigate, develop and practice skills. 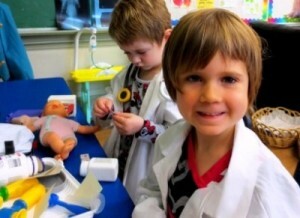 We encourage the preschoolers to explore, discover, create, socialize and have fun. We support this by offering choices within a framework, facilitating problem solving and encouraging curiosity. The emphasis in our program is on process learning. We believe it is important to promote process learning as children are still trying things out. As well, young children are interested in ‘doing’ rather than producing a product. However, we do introduce some more ongoing projects, particularly creating memento items for special occasions. Socialization is a huge part of our preschool. We methodically introduce and reinforce fundamental interpersonal skills that will assist children as they embark on their life journey. “It takes a whole village to raise a child.” We actively promote community engagement in our classroom by including guest visitors, field trips and many program family parties to enhance the program and expand the village for our students.